These Vintage Halloween Table Decorations have a timeless look and make a great Halloween table centerpiece decoration. 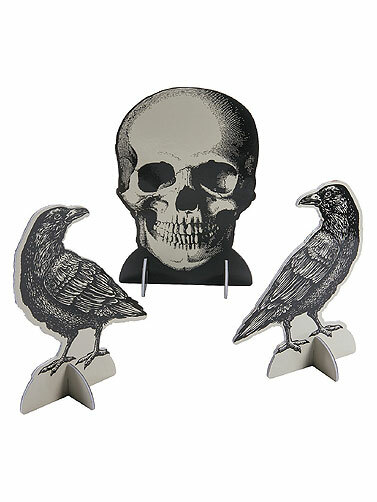 Set of three table decorations features a large skull and two ravens. The vintage look decorations are printed on paper and adhered to foam making them more sturdy for your Halloween table display. 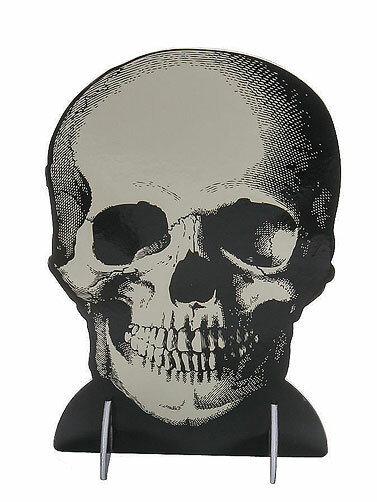 Black and white print is versatile enough for any spooky party theme. 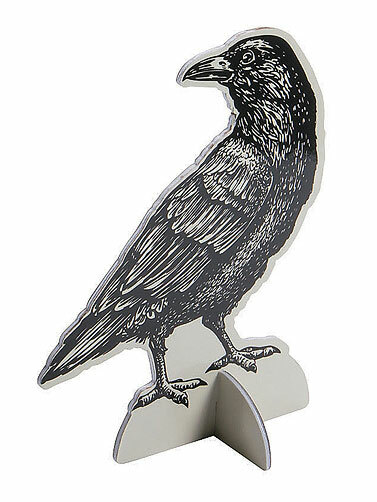 Includes pieces for cardboard stand. Some simple assembly requires. Vintage Halloween table decoration measures 12"H (skull) and 10"H (ravens).